STERLING ADDLIFE INDIA LIMITED came into existence with effect from 29.12.2000 as a Limited Company registered with the office of the Registrar of Companies; Gujarat. Over last 10 years, Sterling Addlife India Ltd. has emerged as a dominant market leader in area of private healthcare delivery in Western India. 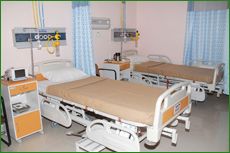 It owns and manages one of the leading regional chain of corporate hospitals in Gujarat-Sterling Hospitals. 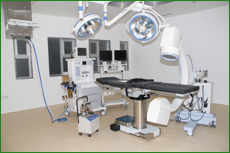 The philosophy of the company remains to be patient centric, follower of ethical medical practices, and a provider of world class healthcare to global clientele. 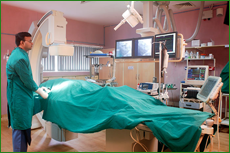 Sterling Hospitals is engaged in providing high quality medical and surgical care in a host of critical specialties such as Cardiology and CVTS surgeries, Neurology and Neuro- surgeries, Nephrology, Liver and Renal Transplant(Live and cadaveric), GI Medicine and Surgeries, Hematology, Oncology and Onco-surgery, Critical and Emergency Care, Trauma and Orthopedic, Neonatology as well as General Medicine and Surgeries. 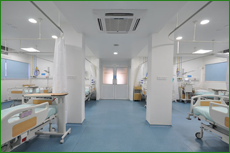 Sterling has Seven multi-specialty hospitals out of which hospitals at Ahmedabad, Baroda, Rajkot and Bhavnagar are tertiary care multispecialty hospitals. The lead hospital in Ahmedabad is one of its kind across Gujarat- with 290 beds, 7 major operation theatres and more than 125 ICU beds. We at Sterling Hospitals are committed to your health. Conforming to the best practices worldwide, Sterling Hospitals offer you more options, better choices and greater flexibility of treatment. Services are the backbone & core part of our healthcare deliveries. Patient comfort & satisfaction are the areas of our focus & Concern and to deliver the highest standard of health care services, Sterling hospitals has left no stone unturned.